Gala Networks EU has announced that the Rappelz expansion, “Epic VII Part 4: Ancient Legacy” is now live on all servers. 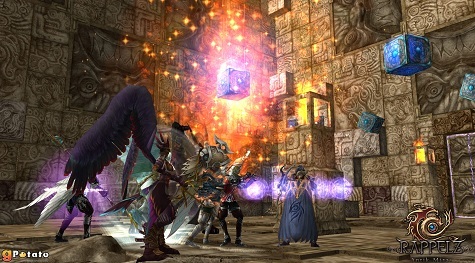 The new Rappelz includes the â€œCubricâ€ dungeon for Master Class parties which offers players a chance at finding epic items. In addition, the new creature, â€œLydianâ€, is available as a new companion. The team has also added new enhancements to the UI. Restricted to Master Class players in the new Cubric Dungeon, the final event called â€œA Fistful of Medalsâ€ will contain the toughest challenges and greatest rewards. If players manage to kill the dungeon end-bosses, they will be awarded with exclusive medals which can be exchanged for items. Moreover, there will be a ranking event in which the players who gather the most medals during the eventâ€™s duration will win real prizes worth 2,500 EUR. This event will run from 28th May to 26th June.